Theodore E. Lengyel, 85, of Dillonvale, OH died June 5, 2018 at Riverside Methodist Hospital in Columbus. He was born March 25, 1933, a son of the late John and Elizabeth (Elek) Lengyel. Theodore was a retired electrician for Wheeling Pittsburgh Steel Yorkville Plant, was a member of St. Adalbert’s Catholic Church in Dillonvale, and the Hungarian-American Club in Martins Ferry. In addition to his parents, Theodore was preceded in death by his brothers, Elmer, John, and Robert Lengyel. 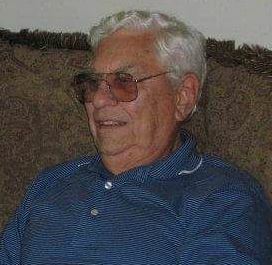 He is survived by his wife of 49 years, Donna (Nelson) Lengyel; children, Terry (Tami) Lengyel of Columbus, Christine Lengyel of Dillonvale, Jeff (Jeannette) Lengyel of Rayland; grandchildren, Jeffrey, Alek, Brooklyn, Raygan Lengyel, Morgan and Brittany Baker; great-grandchildren, Alli and Preston Baker; and his beloved pet, Marcie. Friends will be received Friday, June 8, from 2-4pm and 6-8pm at Wilson Funeral Home, 154 Second St., Dillonvale, OH 43917 where a wake service will be conducted at 7:30pm. Mass of Christian Burial will be held Saturday, June 9th at 11am at St. Adalbert Catholic Church in Dillonvale with Mgsr. John Kolesar serving as celebrant. Interment to follow at Holly Memorial Gardens. To offer online condolences please visit wilsonfuneralhomes.com.